June 2, 2018. Past owner Bob sent in the following email advising that Garganey has a new home (minor edits). We stand by for new owner Kevin Porter to check in. March 7, 2018. 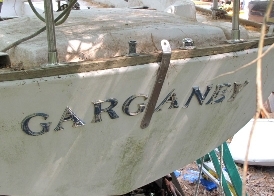 Garganey has resurfaced and is For Sale/FREE on Craigslist. Originally we found out about this ad from a website reader, and we followed by contacting the seller who advised her name. Here is the original ad. 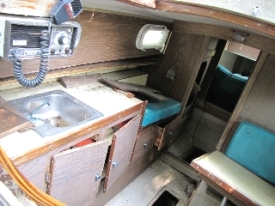 24' Dolphin sail boat, cabin, galley, single mast. That's all I know. Storing it for a friend, someone wanted it, friend no longer wants, so I loaded it on my trailer. Now the person that wanted it hasn't decided to take it. I want it off the trailer, so it's free with free local delivery. No title, but it's not too difficult to get one for an abandoned boat. Do your own research, the boat is free! 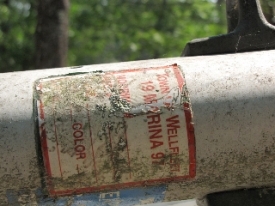 Needs restoration, but it's free. No sails and aluminum mast needs work, but it's free. 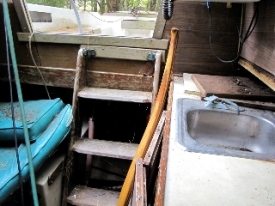 The pallet it is on is rotten, so the boat will need a new means of support. I can tell you what it will need to unload it. I can unload it here if you have your own trailer, or I will deliver. All I ask is that you are ready with a plan to stabilize it when I get there. I have five boat stands that will work with it. Had plans for them, but since the pallet is rotted I will sell them if you want them. I'm no longer going to hold the boat for anyone. Come out take a look, if you decide you want it be ready to take it. September 28, 2010. Spoke to Jon today. 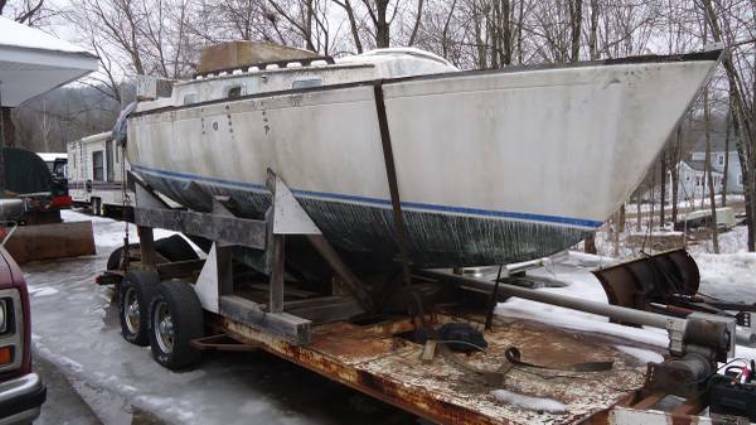 The boat, believed to be a Yankee, was picked up in July by a guy who planned to take it to Rhode Island. 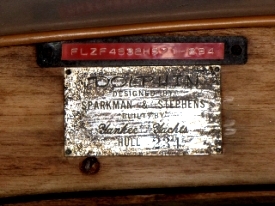 Jon had the boat for 3-4 years and bought it from the Chatham Boat Works. 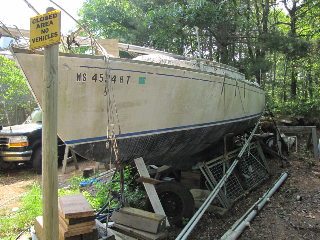 Stay tuned - our DFIs are at work tracking down this boat. Free 24 foot Dolphin Sail Boat. Needs work but very solid.Comes complete. These are some of the pictures Eric sent in. Garganey is going to need work. 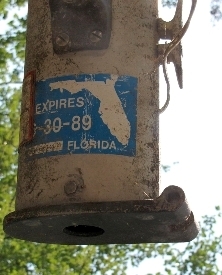 Yankee # 234 1989 Florida sticker (no sky hook, photo rotated!